Consumer Electronics manufacturer and display technology specialist Hannspree is preparing to expand its mobile device portfolio during Q4 2014. The company will unveil its first entry into the Smartphone market as well as announce new Tablet PCs entering the established and popular Hannspad Tablet PC series including the first Hannspree model to support 3G. Moving into the Smartphone market is a logical step for the consumer electronics brand which has already made a permanent mark on the Tablet PC market. Thanks to Hannstar, Hannspree’s parent company; a global leading producer of small sized glass for smartphone vendors and touch sensor technology, Hannspree already has the vertical integration of 50 per cent of the actual Smartphone product. With big market growth expectations over the next six or seven years the company feels the timing is right to position the Hannspree brand to compete in this market. Hannspree will bring to market products with affordable, competitive/entry-level price points utilizing it capabilities to do so with the backing of Hannstar’s technological prowess. This aggressive strategy has already proven effective by Hannspree’s monitor, Tablet PC and previously its TV business. 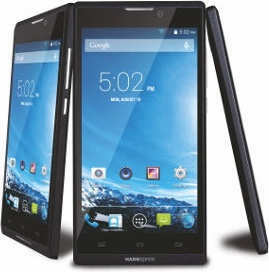 Hannspree has chosen to focus its attentions on the big screen Smartphone sector whilst it is still fairly niche. Hannspree believes this will give it a higher chance of penetration success. It is also confident that the demand for larger screens will grow substantially over the next few years, which should increase Hannspree’s market presence and brand recognition as a consequence. The first Hannspree Smartphone model to be announced will feature a 5” HD IPS screen, a 1.7GHz Octa-Core CPU, and Android 4.4 (KitKat) while boasting Dual Sim Card support. Success in the Education domain, as well as the more traditional business and consumer markets, sees Hannspree’s presence in the Tablet PC market at an all-time high. Hannspree has every confidence that it will continue to establish as a leading Tablet PC manufacturer and the roll out of a new line of models under the HANNSpad series umbrella is its next move. In Q4 a number of new Tablet PCs will hit shelves across Europe as a result of technological advancements and consumer demand, most notably the new HANNSpad SN1AW72 which is Hannspree’s first Tablet PC to support 3G and GPS functionality. Hannspree chose to position itself in the Tablet PC market as a large screen supplier with cost effective models ranging from 10.1” to 13.3”. The new HANNSpad models will share this same winning formula. Official announcements for all new Hannspree mobile devices will be sent out in Q4.